Cairns Kite Boarding professionals are Kite Rite Australia. 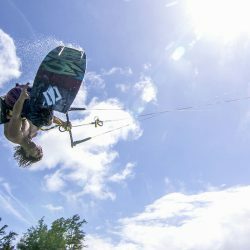 Not only do we have the most experience and equipment, but all of our instructors are trained and certified by the International Kiteboarding Organisation (IKO). 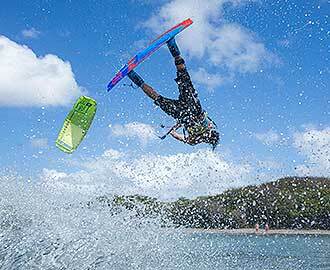 Owner / operator of Kite Rite Australia, Chris Rose has been kite surfing since the very beginning of the sport, over 18 years ago. He started Kite Rite Australia in Cairns in 2000 and since then, has taught over 3,000 people how to safely ride the wind. 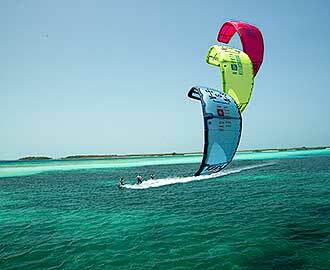 What is Kite Boarding or Kite Surfing? An adrenaline rush! An addictive sport which enables you to harness the power of the wind, to ride wild and free across the sea, on the ocean breeze. For the lovers of freedom and nature, kite boarding, also known as kite surfing, is simply an amazing way to engage all of your senses, whilst at the same time letting go of it all in some stunning surroundings. 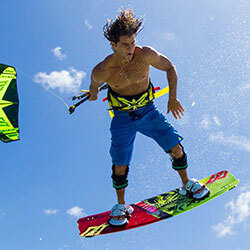 Kite boarding combines various aspects of several other popular activities, including windsurfing, surfing, wakeboarding, snowboarding and skateboarding. The common denominator is of course the ‘board’. This is the platform which takes you across the sea, the energy being provided by the wind, which you harness and control through the kite, which is attached to the bar by 4 or 5 lines. This sport is hugely popular and accessible to people of all ages. There are a couple of pre-requisites: you must be able to swim to kite board and you need to have a relative degree of fitness and ability / agility. 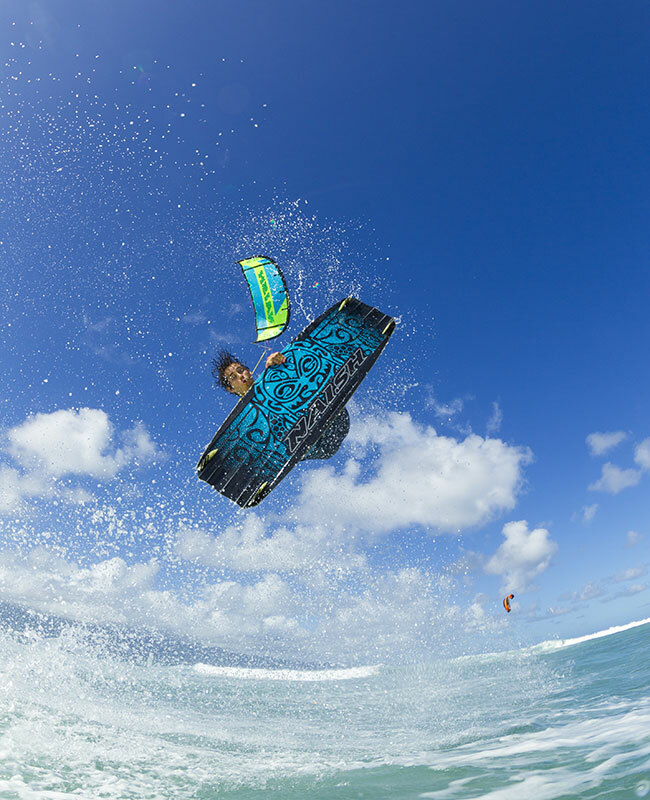 Kite Rite Australia has an extensive range of kite boarding equipment, which is available for sale or hire to customers in Cairns and around the region and country. You can try before you buy, through one of our lessons, or if you already know what you are looking for, we can supply it to you direct or via post and pack. Deposit Required. We take credit card imprint. IKO card if you have one. Indemnity Form. If you are under 18 years of age a parent/guardian must sign it. Demonstrate knowledge and self-sufficiency. Your safety is our priority. Great option for people who already know how to kite, but want to practice their skills more, before committing to purchasing their own kite. All necessary equipment included. IKO instructors will be at the beach (providing lessons to others) but can help out if needed. Quality equipment. Unsupervised hire: suitable for self-sufficient kite surfers who are competent at upwind kiting. You will need to demonstrate knowledge and proficiency prior to hire. If you can’t do this, we will include a lesson in the hire, at extra cost. Bond required with CC imprint.